It’s hard to pick the stand out weddings from this our busiest month this summer, but these stand out for all the right reasons. 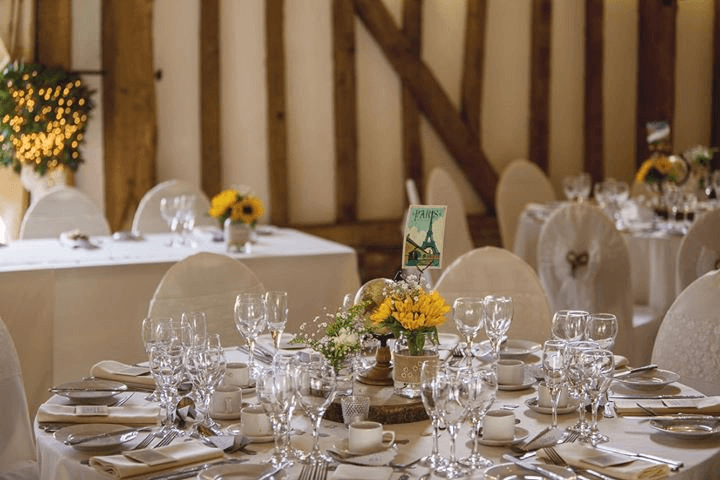 When people book our stunning wedding venue, they’re always keen to see what kind of events we’ve hosted previously. We’re so proud of what we create for couples here, so we’re more than happy to do that. 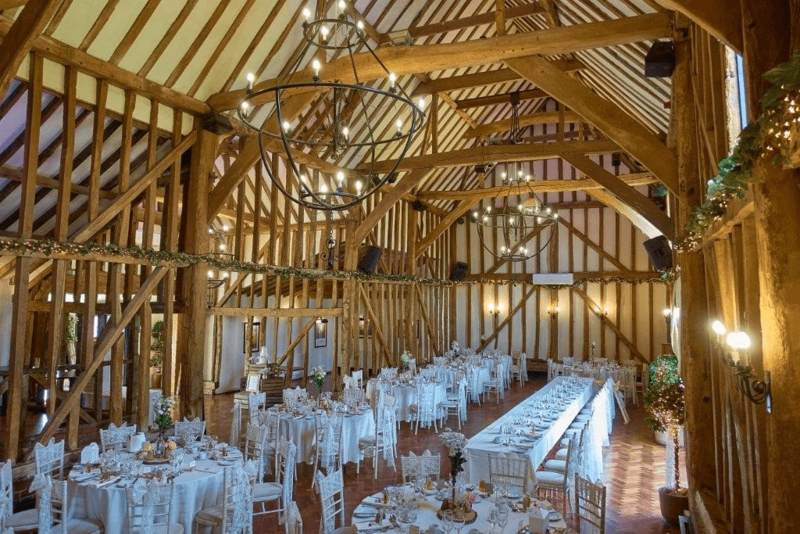 We host a wide variety of weddings here, and we love to share pictures of Crondon Park, particularly the gorgeous Baronial Hall, in all of its glory. So for the first time, we’ve rounded some of the pictures from our summer weddings for you to have a look at. If you’re planning your big day, hopefully they will inspire you to come and share it with us here. They went for white, a classic option, but with some lovely finishing touches that really made it personal to them. The flowers and beams together made for a look that was reminiscent of a beautiful English garden, and tied in beautifully with the lush grounds here. 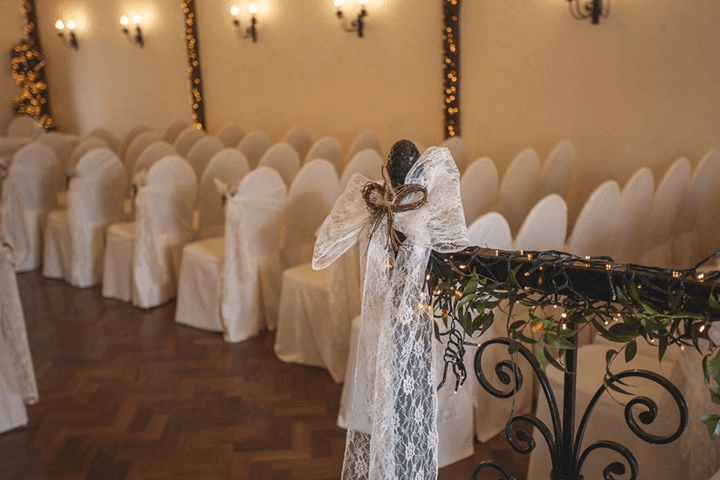 The light, airy space of the hall makes it suitable for any colour scheme though, so let your imagination run wild when you’re planning your own special day! Is this the cutest cake you’ve seen? Gorgeous white icing that makes your mouth water? Check. Pastel pink flowers that tie in with the couple’s colour scheme? Check. A classic wedding cake design but with a modern, low-key twist? Check! 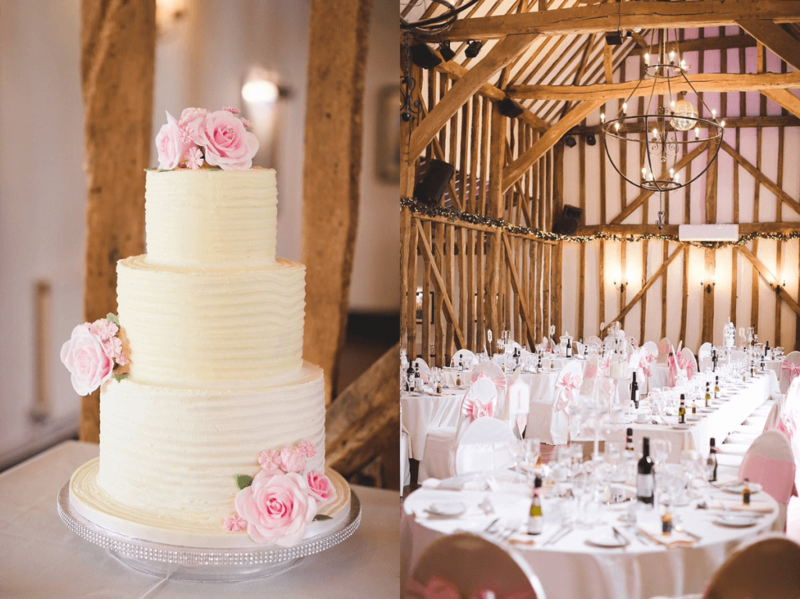 It’s got it all going on, and Charlotte and James really did choose the perfect cake to commemorate their special day with. We’re sure that there wouldn’t have been much left after the guests started to tuck in, given how delicious it looks! Crondon Park was the venue Natalie and Danny chose for their lovely vintage themed wedding venues in Essex. 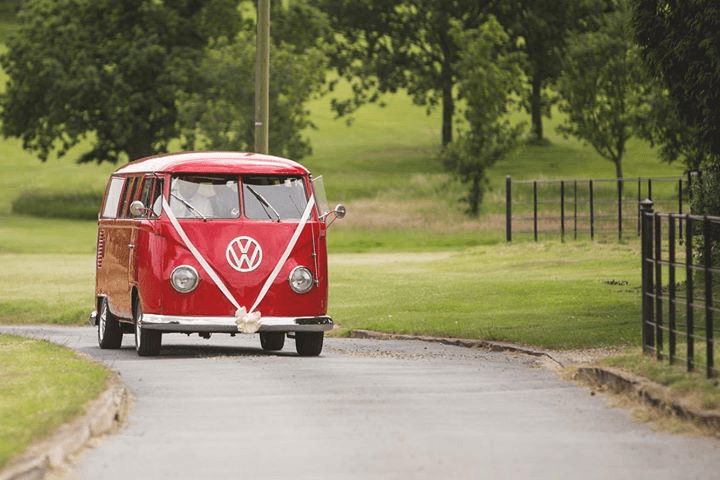 Arriving in a typical wedding car wasn’t what they had in mind, and they surprised everyone by turning up in this gorgeous camper van. Now that’s what you call arriving in style – and it only got better from there! Flowers in jam jars and cute postcards on each table created a quirky look which reflected the personalities of the lovely couple perfectly. Lace, wooden heart decorations and twinkling fairy lights really make you feel like you’re in a far-away wonderland. For the happy couple, this is exactly what they managed to create in our gorgeous hall, and we’re so happy that our venue is the one they chose to bring their unique vision to life in! 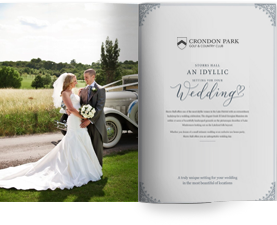 Looking back on the wonderful weddings we’ve been lucky enough to see here at Crondon Park makes us even more excited for the ones that are coming up! 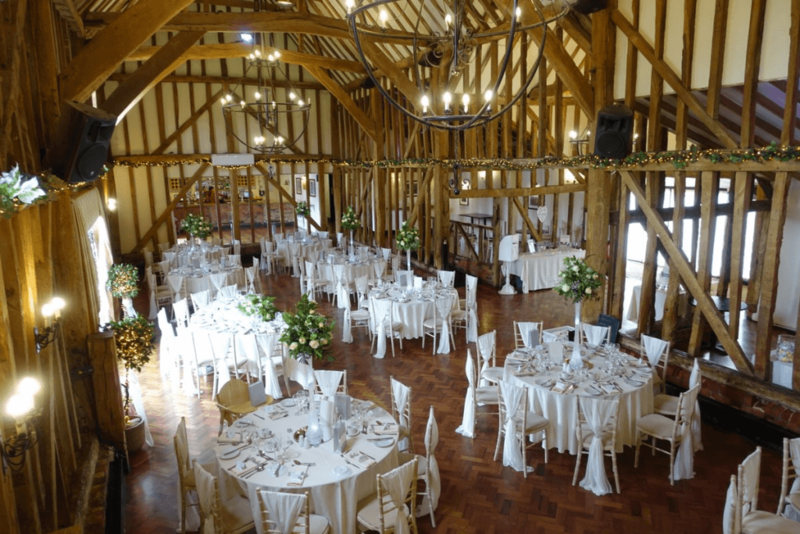 With a great location, stunning scenery and a proven track record when it comes to hosting great Essex weddings, it’s no wonder we’re one of the most popular venues in the county. So why not get in touch with us if you’re planning a big day of your own?